1.00 Information is a vital asset to the university as it relies heavily on it for the delivery of services and management of resources. As such, Laurier recognizes the importance of protecting the information in its custody from unauthorized access, modification, disclosure, or destruction. This policy outlines the roles and responsibilities for the security of information, however recorded, including governance, training and awareness, technical security systems, and monitoring of the Laurier information security program. 2.01 Information: includes any part or all of any record, document, or data that is created, stored and used by the university, however recorded, whether in printed, film, or electronic form. University Information is information created in the course of university business. 2.02 Personal Information: Recorded information about an identifiable individual. 2.03 Open Information: Information that is readily available to any member of the University community or to the general public, either by request or by virtue of being posted or published by the university through proper administrative procedures. This type of information has no restrictions on access or usage. It may include Personal Information collected for the express purpose of public release with the knowledge and consent of the individuals the information is about, or records created for public circulation. 2.04 Internal Information: Information whose unauthorized release could reasonably be expected to cause minor, short-term harm to individuals or to the university and is intended for only limited dissemination. Internal Information must be guarded due to proprietary, ethical, or privacy considerations, and must be protected from unauthorized access, modification, distribution, storage or other use. Protection of such information may be required by university policy and/or provincial or federal legislation. Access to Internal Information is restricted to those who have a legitimate purpose for accessing such information. It is important to note that internal information in the aggregate may migrate to Restricted Information, particularly with respect to personal information about an individual. 2.05 Restricted Information: Information that, if compromised, could reasonably be expected to result in significant and/or lasting harm to an individual or the university such as identity theft or reputational risk. This type of information is strictly protected by provincial or federal statutes or regulations, university policy, or contractual agreement(s) and must be protected from unauthorized access, modification, distribution, storage, destruction, or use. Access to Restricted Information is limited to those who have a legitimate purpose for accessing such information. 2.06 Information User: the individual university community members who have been granted access to Information in order to perform assigned duties or in fulfillment of assigned roles or functions at the university. This access is granted solely for the conduct of university business. 2.07 Information Steward: The university employee who is the manager responsible for the direction of a functional unit that is responsible for creating and/or managing a group of records. This typically will be a Director for the unit, depending on the structure of the department. • Following data handling and protection policies and procedures established by Information Stewards and ICT. 2.09 Information Security Team: A subset of Information Custodians, the Information Security Team consists of the Laurier ICT and administrative personnel responsible for the implementation and operation of the information security program at Laurier. 2.10 Identity Management: the set of business processes and supporting infrastructure for the creation, maintenance, and use of digital identities. 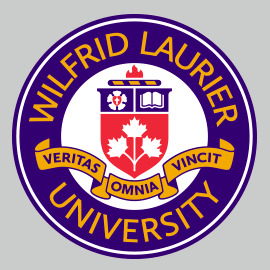 This includes a user’s unique identifier and credentials that enable access to Laurier’s computing systems. 3.00 This policy applies to all faculty, staff, volunteers, students, and other authorized users of Information at the university. Third party contractors (for example, software and cloud-based solution providers), also must comply with this as well as other applicable university policies. 3.01 This policy applies to all University Information. 4.01 All Internal and Restricted Information must be protected and used only for authorized purposes. I. Throughout its lifecycle, all Internal and Restricted Information collected, stored, processed, and shared at the University must be protected in a manner that is reasonable and appropriate for the level of sensitivity, value, and risk that the Information has to the University or third party supplier of the information. All applicable policies and guidelines on the protection of Internal and Restricted Information must be followed. • Securely destroyed in accordance with university policies, procedures, or guidelines. III. Once identified, improper use or access of restricted or internal information must be addressed immediately (see Privacy Breach Protocol). 4.02 University equipment, software, and networks must be secured and used only for authorized purposes. I. Any information and communication technology that is used to store, process, or transmit University Information must be secured in a manner that is reasonable for the level of sensitivity, value, and risk related to the Information and in accordance with legislation or university policies, procedures, or guidelines. • Regularly review and audit all information security procedures and mechanisms related to electronic systems. 4.03 Authorized Information Users, including academic and administrative units, are responsible for the Information in their custody or control. V. Physical access to Internal and Restricted Information on devices such as laptops, smart phones, or in printed files should be restricted when not in use.